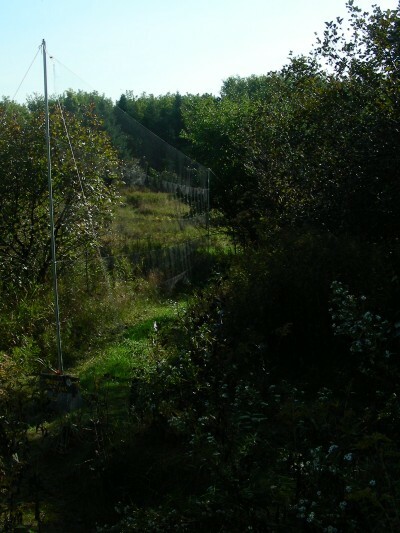 Net E1 is located a bit east of Stoneycroft Pond, tucked between the edge of a spruce grove and a dense mixed stand of apples and hawthorns. 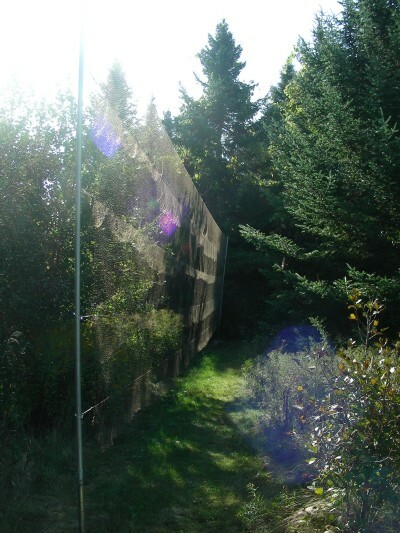 It is most notable for capturing large numbers of kinglets and Palm Warblers, as well as occasional other warblers, chickadees, and cardinals. 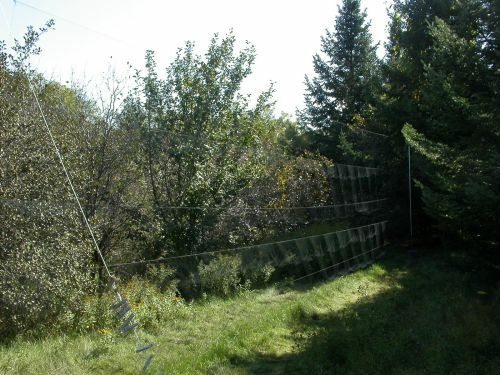 A second net, E2, was added perpendicular to the north end of E1 in the fall of 2006.